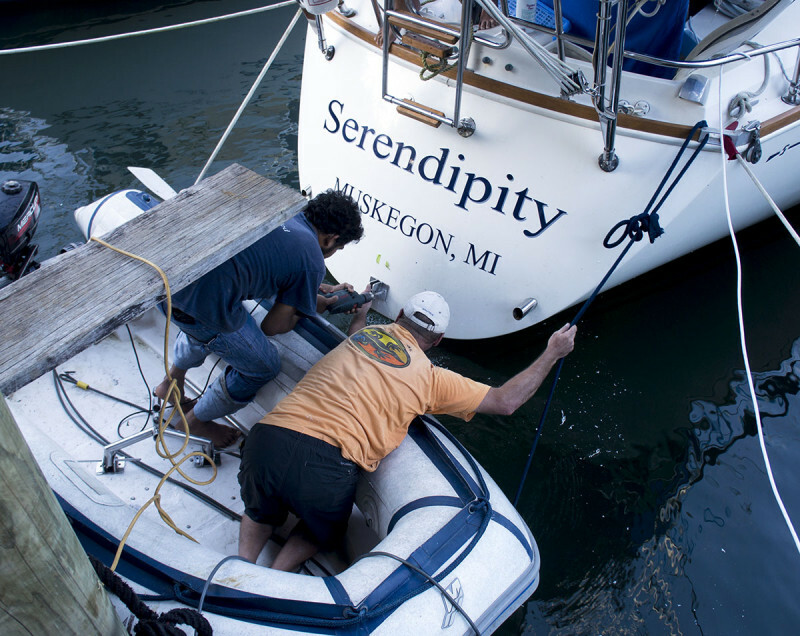 As I’ve mentioned, Matt has a million different projects going on right now to spruce up Serendipity and get her ready for cruising. Most of them have been for more along the lines of comfort features while at anchor, a sliding board that covers the stove for more counter space; reconfiguring our dining table to give more room to move around the salon; things like that. But after doing much research online, we’ve taken on a new project that will improve the actual performance of Serendipity. Or, possibly save us from disaster. However you want to look at it. Our plans this coming summer are to take the ‘Dip from St. Martin in the Eastern Caribbean over to the Mediterranean, which includes crossing approximately 3,200 nautical miles of the Atlantic Ocean. We’re hoping that this will be a very uneventful crossing for us, but you know what they say, ‘Hope for the best, plan for the worst’. As you’ve probably been able to guess, Matt has spent many a night here in the Rio while we have internet access, scouring to see what are the biggest issues boats run into on ocean crossings, and making sure that we can do our best to prevent them. 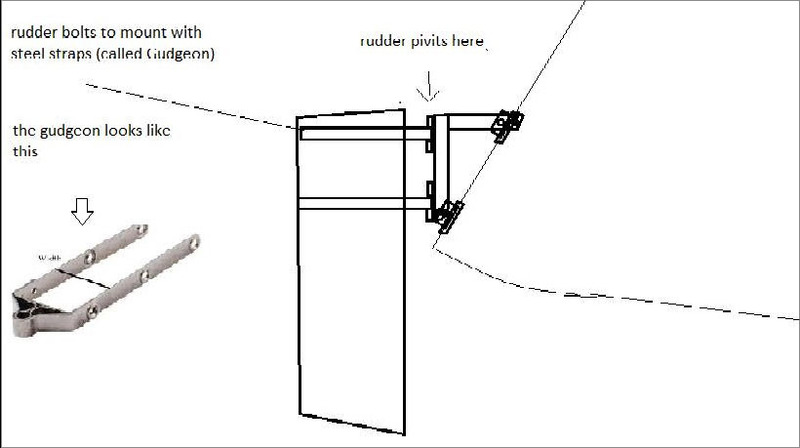 What he ended up finding, is that the most common cause for distress while passaging is rudder failure. 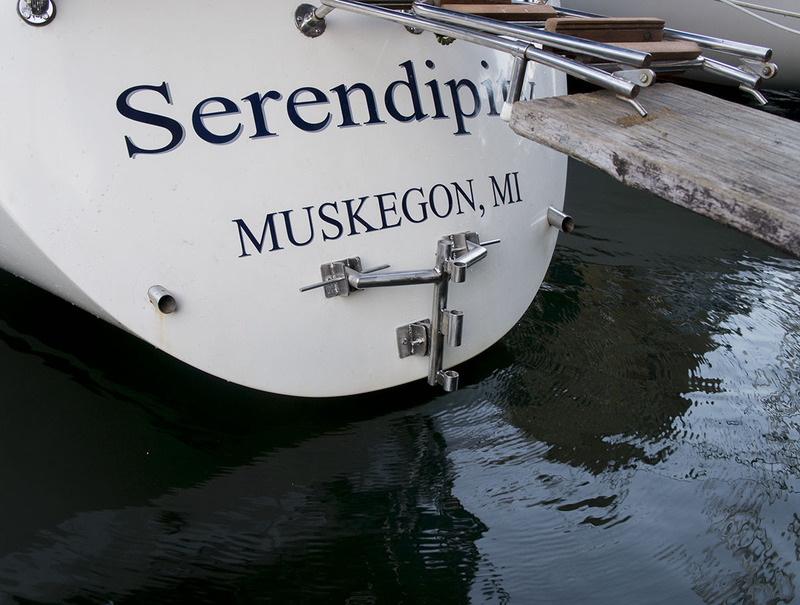 For my non-nautical friends, the rudder is a vertically hinged plate of metal, fiberglass, or wood, placed at the stern of the ship and is used to steer the boat through the water. Now I don’t know about you, but I consider steering a pretty frickin’ important necessity to get from Point A to Point B, and that is probably one of the last things I want to fail on me out in the middle of an ocean. 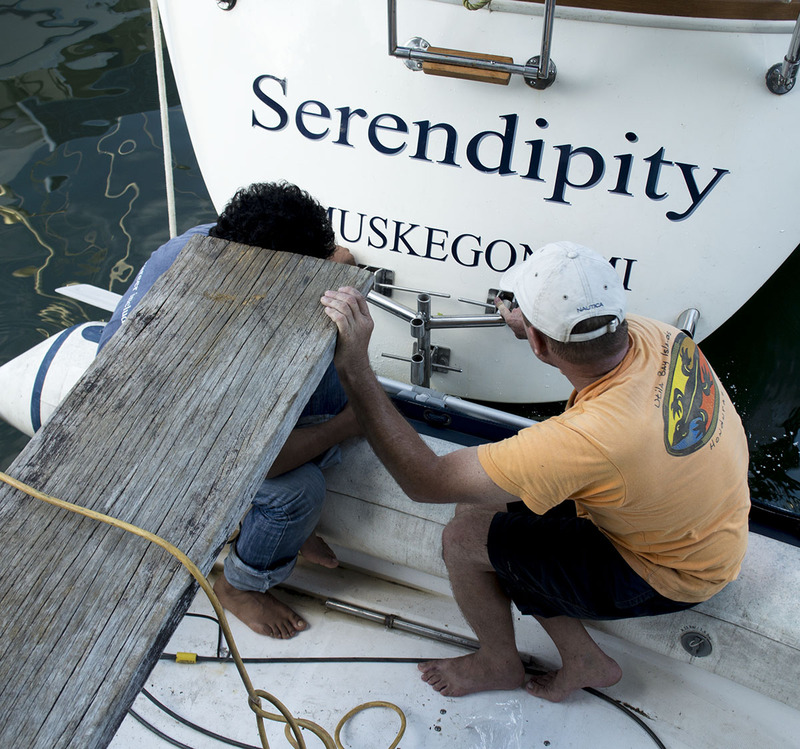 Throughout the summer and into the fall we toyed with the idea of building an emergency rudder, considered the condition of our current rudder, and what options we would have if it did fail on us out at sea without having a backup. Don’t get me wrong, there are still little things you can do to control steering a little bit without a rudder, such as trailing a drogue on one side of the boat to get it to turn that direction, or attaching boards to a spinnaker pole and using that as a replacement rudder. It’s actually part of the reason we bought ours (with the added bonus that it could be used as an emergency mast should we ever be de-masted). We were very back and forth on the issue if we wanted to put in the time and money, and take away precious storage space, to build and have mountings for a second, albeit, smaller rudder. As if we were waiting for a sign to be sent to us, Matt came across this article of a relatively new Beneteau Oceanis 50 that was traveling between islands in the Eastern Caribbean this summer when their rudder sheared right off. They ended up putting in a distress call and were towed through 6-8 ft seas for nearly 30 hours until they arrived on the island of Martinique. If it could happen to them, it could happen to anyone. That cemented our decision. We wanted an emergency rudder. We’d both be much happier having it and hopefully never having to use it, than falling into a situation where we needed it and were only able to rely on the other backups listed above. Since we’ve made this decision, we’ve been in talks with an American named Thomas that runs a welding shop in the Rio. With his help, and some very detailed instructions from Matt, he’s spent the past few weeks making the mountings for the rudder and was able to bring all the pieces over this afternoon to install them. The parts we had Thomas make/weld for us are: three stainless steel mounts to be attached to the transom; a rudder mount, and a gudgeon. Here’s a rough sketch Matt made of how it will all fit on the boat. We’ve set it up so that the three transom mounts will be permanent and always visible, but the rudder mount, gudgeon, and rudder will be stored away. Should our current rudder ever shear off (let’s hope not), we’d assemble the rudder mount to the transom mounts, slip in the the new rudder, and hopefully be able to maintain decent steerage. Not enough to be a permanent fix if the original rudder was gone, but enough to get us to land and someplace we can do repairs. After Thomas brought all of the pieces over, all we can say is that we are thrilled with his work and we’re so happy that we were able to find him here in the Rio. Thanks for introducing us to him Luis! Just yet another advantage of our little dinner club. This is a two part project for us, Matt and I will be making the rudder ourselves once we get to a place where we can get the supplies necessary, probably Mexico or the US. The rudder will be 48″ long, 12″ wide, and made from foam, fiberglass, and epoxy. Consider phase one checked off the list though! Lining up and installing the transom mounts. 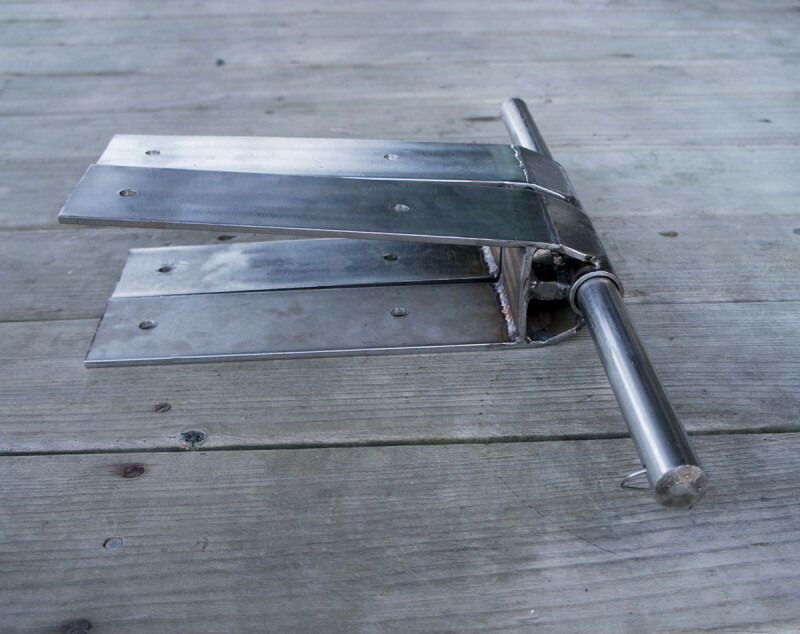 The gudgeon, which will eventually be attached to the emergency rudder. This entry was posted in Boat work, Guatemala and tagged emergency rudder. Bookmark the permalink. Looks great! Does the mount make using the ladder difficult? Did you ever really even use the ladder anyway? Hey guys! Big fans of your blog. Always entertaining. This post was quite interesting. Curious as with all the effort and custom fabrication required for this emergency rudder why you didn’t just go with a self steering wind vane like a Hydrovane that basically leaves you with an autopilot AND a backup rudder. Would love your insight on this. Thanks! Hey Matt! 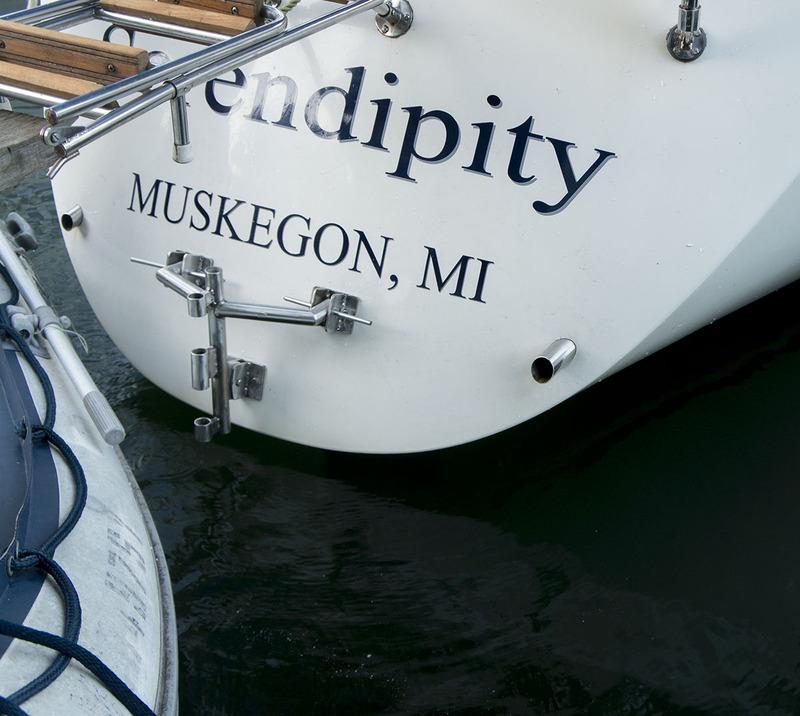 There’s two reason we went through all the work of custom fabrication for a emergency rudder, and they are cost and compatibility. The emergency rudder was cheaper for us to do, and because of our davits which hold one of our 205 watt solar panels, it does not leave us the room to switch to a Hydrovane. It is certainly a possibility for others, but for us, that route would have ended up being more work overall.